Welcome to Community Effort Orlando 2017 at the Wyndham Orlando Resort! 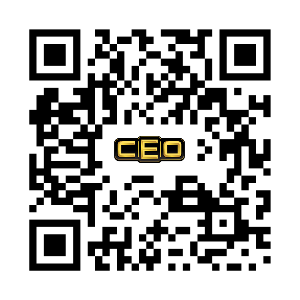 First off, I want to say thank you from myself and the entire staff for supporting CEO from all over the world. Whether this is your first CEO experience or now your 8th year in a row since it all began, we have a lot of info for this year’s event. To make the most of the venue space and give players as much playtime as possible, we have moved things around with tournaments taking place in all corners of the Wyndham. Be sure to see where your respective game is and schedule so you know when and where to play. 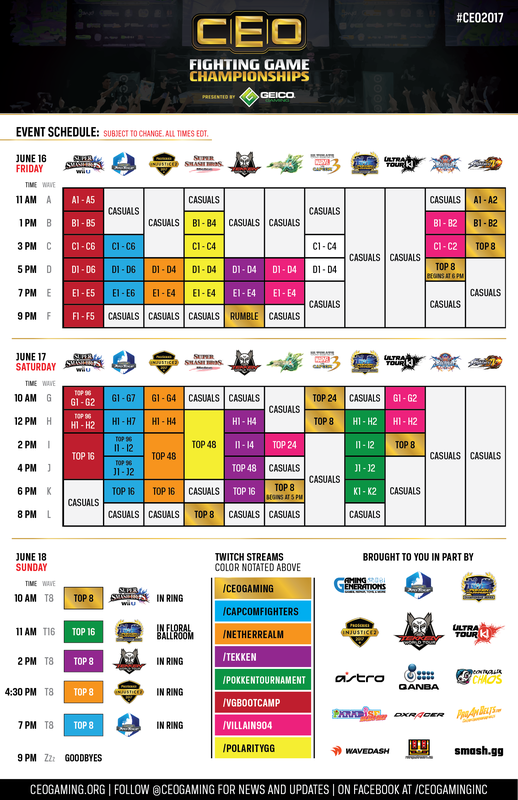 We’ve listed the full schedule and venue map on www.ceogaming.org/ceoschedule but here they are again! This year we’ve created a Discord Channel for the event on www.discord.gg/ceogaming. If you’re new to Discord it is a free voice and text chat app designed specifically for gaming. It’s a great community discovery and information sharing tool. When you log onto the app from your phone, tablet or PC and into the CEO Gaming Channel, you’ll have quick access to information and important live updates from the event. We also have a Lost and Found channel (Lost and found will be located at the Registration Desk outside of Palms Ballroom), Ask the CEO Staff channel and more. Be aware that the staff may not be able to respond right away but we’ll be checking it periodically. 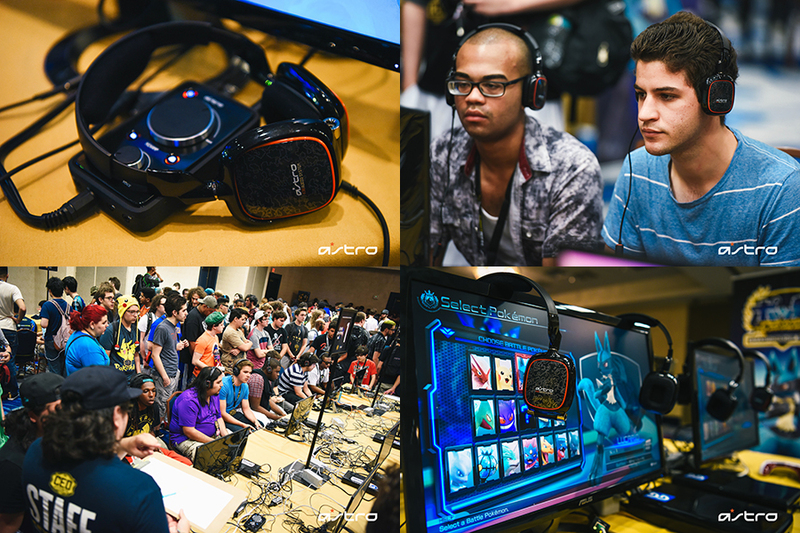 If you registered to compete at CEO, here is a link to all of pools on Smash.gg. CEO 2017 Player pools and information Smash.gg will have your pool placement and times you are expected to get to your pool station which will be labeled on the floor. PLEASE NOTE that pools will not be Final until Thursday morning so be sure to check again in case of any changes made, after Thursday your wave pool times and placement will be locked for the event! Please arrive 10 minutes before your scheduled pool start time and check in with the CEO staff member that will be holding a bracket. If you have any questions they are there to help! We have all of the event and stream schedules listed here: CEO 2017 Schedule and Venue Map Please be aware of your pool times so that you are not late or you will be Disqualified. Also, we’ve spread out the tournament stations all throughout the Wyndham ballrooms so be sure to check out the venue map so you know where to go! How can I get to the venue from MCO Airport? Mears Shuttle has One-Way (around $21.00) and Round Trip (around $33.00) tickets you can book through here in advance to get to the Wyndham Orlando Resort from the MCO Airport: https://shuttles.mearstransportation.com/. You can find them on the Transport Ground Level inside of MCO. We have a buddy system on the event page you can check out www.tinyurl.com/ceo2017shuttle to arrange a buddy system to save on cabs together when you arrive at MCO ( go here to the CEO event page so let others know when you land to split a cab together by meeting at either terminal A or B exit escalator). Uber/Lyft are not allowed to pick up people from the airport however going back or getting around Orlando and the venue we have partnered with LYFT this year! If you have no used them before you can use CEO2017 for $5 off your first 4 rides or FGC4Life if you’re a current user for 10% off all your rides starting 6/14 until the end of Monday 6/19. Parking at the Wyndham is free during the day and included in your resort fee if you are staying at the hotel. We will have a badge pickup line for registered players and spectators in front of the Palms Ballroom main entrance all weekend. Please pick up your badge at least one hour before your scheduled start time if you are competing.This means if you do not have any tournament pools on Friday, you may still come in Saturday morning to check in and pick up your badges at least an hour before your tournament start time. To pickup your badge please bring a Photo ID or a printout/picture of your PayPal receipt to collect it. We will still be selling On-Site Spectators badges (w/ Badge and lanyard) for $50 for the weekend, or you may purchase Single Day Friday/Saturday/Sunday badges to check out the event for $25 at the Registration Office. Children under 12 and under are free with an accompanying adult. We accept cash, as well as credit cards at the Spectator Registration line. PLEASE keep your badges or wristbands visible at all times or you will not be allowed into any of the ballrooms. Look for these pop up banners to pick up your badges whether you’re picking up your player/spectator badges on the left or Custom, Media, VIP, Exhibitor Badges on the right. There is no on site registration this year to compete. I’d like to thank everyone that registered to help us prepare for the crazy weekend ahead. We have around 2,000 players from 47 states and 28 countries competing this year. Best of luck to all competitors this weekend! Also please remember to bring your own controller or stick to the event as they will not be provided by CEO for competing. 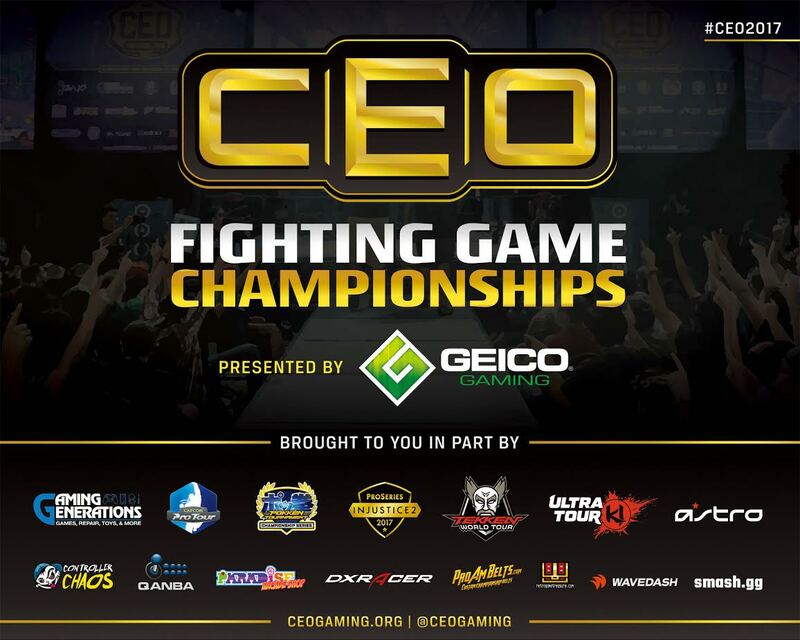 Also be sure to share CEOGaming.org/tv with your friends which has all of our streams on one page for everyone at home to enjoy the action from home on Twitch! Without their help our team wouldn’t be able to fully realize and improve the event this year. So be sure to thank any of our event sponsors at their vendor booths and online. Big thanks to GEICO Gaming for their CEO Gaming title sponsorship this year. Be sure to stop by the GEICO Gaming booth this weekend for some free play, amazing swag, meet and greets with some of your favorite players and also to enter for a chance to win a $500 gift card! They are here to support the gaming community, and we truly appreciate their involvement. They’ve helped to bring you the awesome production value that CEO is known for as well as a first to our annual event, a 24 hour arcade and freeplay console area starting Friday until Sunday! What else is there to do besides the tournaments? CEO Official merchandise at the Gaming Generations Booth! 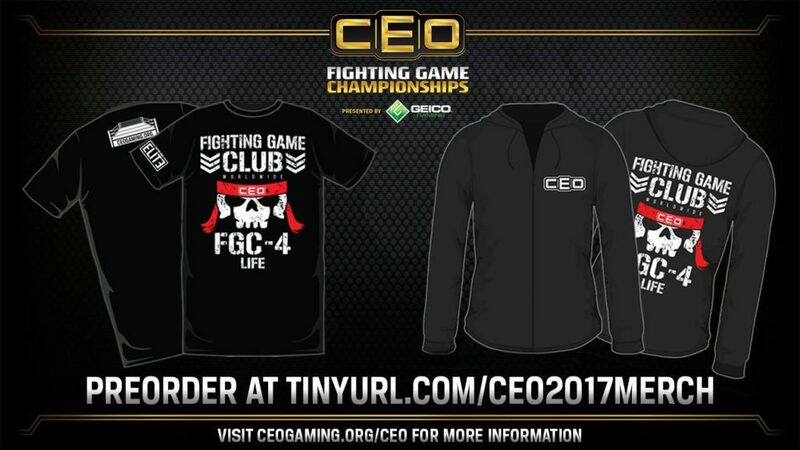 This year all of our official CEO merchandise will be on sale at the Gaming Generations booth throughout the weekend be sure to stop by. If you’re unable to make it or we happen to sell out, you can order them online and they’ll ship out at the end of this month! 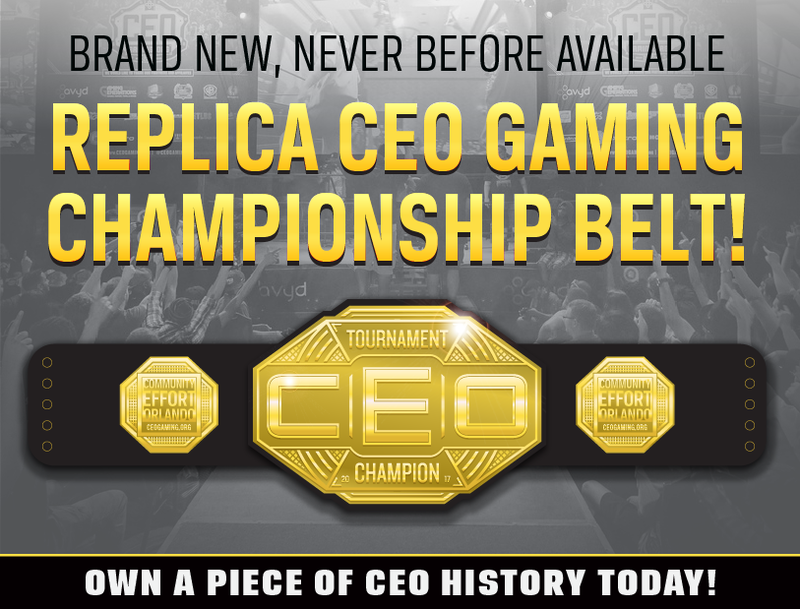 We’ll also have 5 CEO Championship belts for sale at the Gaming Gen Booth for $500 to take home for anyone wanting to own a piece of CEO memorabilia that will last a lifetime. This year we will have great stuff on sale from ControllerChaos, ParadiseArcadeShop, Gaming Generations as well as an entire artist alley (Go here to see all of our artists for this year) spread out across the entire venue! 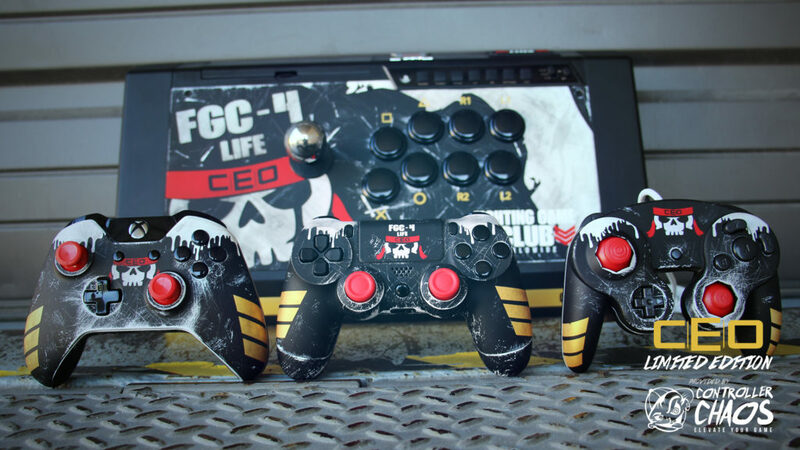 We’ll also have stick modders at the Paradise Arcade Shop booth as well so be sure to visit them early. They’re running a discount code this weekend! Marvel Vs. Capcom: Infinite will be playable in the Palms Ballroom this weekend! 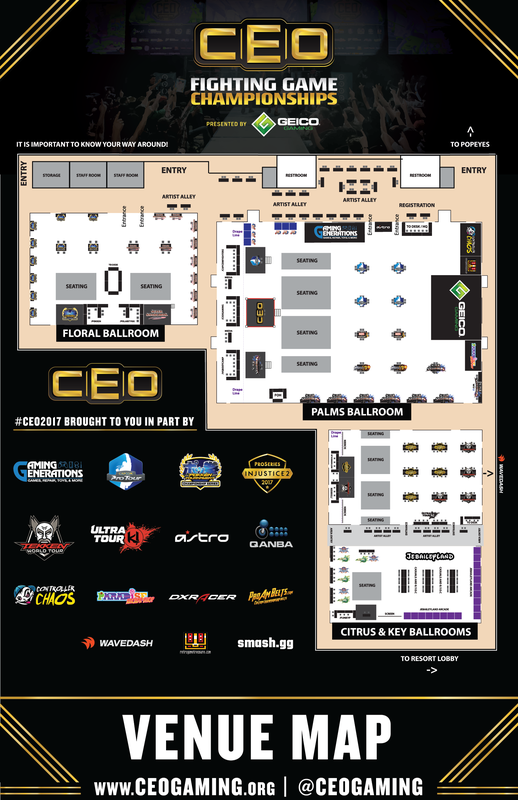 We’ll have the game playable to all CEO 2017 attendees starting Friday at 3 pm until 9 pm, Saturday and Sunday from 10 am until 6 pm inside of Palms Ballrom! Did you know you get discounts at nearby places with your CEO Badge? That’s right. Popeye’s, Perkins, BJ’s Brewhouse and Coldstone Creamery are offering 10% off to CEO attendees with your badge. This does not include alcohol. If you happen to venture away from the Wyndham, the Orlando Eye Complex down the street has a few bars and restaurants worth checking out. For the night life, Tin Roof, with live music performances, will offer free cover with your CEO badge Friday and Saturday night. Cafe de Paris Coffee Shop & Sugar Factory are offering 15% to everyone with a badge this weekend off of your food bill. – We have hired security throughout the weekend to keep an eye on things and provide comfort to attendees. Please don’t hesitate to report anything suspicious to hotel and CEO staff. – Be respectful to everyone; across all the space we have, the hotel can handle about 5,000 people, so some areas will be packed especially Friday/Saturday during pool play. However, once the majority of pools are over, we will start making room for chairs to enjoy finals day in Palms on Saturday night. Casuals will be open in all other ballrooms on Sunday until about 7 pm. – Listen to staff please. Everyone is working super hard to ensure things run smoothly. If you have any problems with staff or other players, come find Jebailey, Mikey Rivera or Andres Coll. – Don’t forget to bring your own controllers, converters, etc. for your tournaments. CEO is not responsible for controller or converter malfunctions. PLEASE be sure to go through the PS4 system menu and delete/forget previous bluetooth devices so your matches are not interrupted by previous players. -NO GLASS at the pool. If you plan to drink anything out and about, please only have plastic. Security will call me to yell at you.-NO VAPING IN THE BALLROOMS. Just NO. – And as always: It’s Florida, remember to shower and be hygienic, we want everyone feeling comfortable. If you sweat through all your clothes, feel free to buy more CEO T-Shirts to get you through the weekend. – Keep an eye out for our staff wearing these shirts and be sure to thank them for all their hard work this weekend.